For all of you quilters (and fans of quilting)! | Crowlas & Ludgvan W.I. For all of you quilters (and fans of quilting)! There are a couple of quilting events coming up (before our next monthly meeting) that you might like to know about. 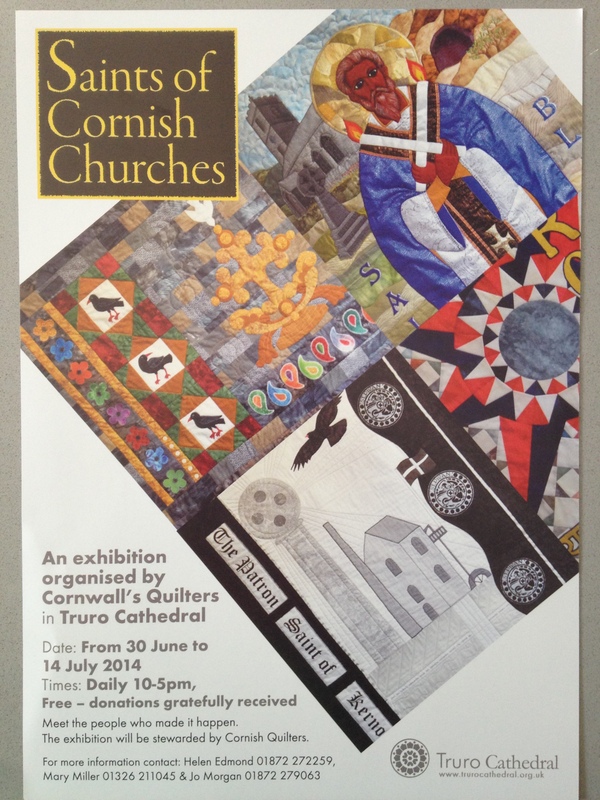 The first is the Saints of Cornish Churches exhibition, for which quilting groups throughout Cornwall have made wall hangings depicting Cornish saints. This wonderful free exhibition is on at Truro Cathedral from 30th June to 14th July from 10am – 5pm. And, while you’re in the area, why not stop in at Coast & Country Crafts & Quilts in Perranarworthal. If you quote ‘SAINTS’ at the till, you’ll receive 10% off your purchase! Coast & Country is open Monday through Friday from 10:30am to 2:30pm, and on Saturdays from 10am until 4pm. The second upcoming quilting event is the Gate Quilters Exhibition to be held at Leekseed Chapel (near the Church Rooms in St Blazey, opposite the Four Lords Pub) from the 10th to the 12th of July. This entry was posted in Uncategorized and tagged community events, quilting. Bookmark the permalink.